“Water World!” 70% of Earth is covered with water. You got bottled water from Mountains, Glaciers, Virgin Springs, Tropical Islands, and The Arctic. There’s Mineralized, Fortified, Ionized, Electrified, pH Balanced, Triple Filtered, and straight out of the city tap. What’s the point? You gotta hydrate every day so you might as well enjoy a boost while you’re at it. 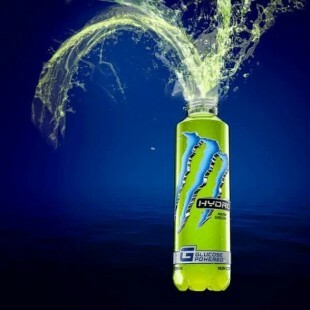 Monster Hydro - Non carbonated and lightly sweetened with natural flavors to make it thirst quenching and easy drinking. We added just enough of that “Monster Magic" to get you fired up.